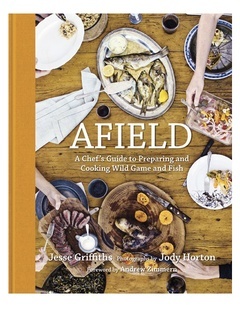 Afield: A Chef's Guide to Preparing and Cooking Wild Game and Fish by Jesse Griffiths. As the local food movement has gained more and more momentum through the years, it seems everyone wants a piece of the proverbial pie. But merely slapping the word “local” or “seasonal” on a menu won’t cut it anymore. Now, specific sources are cited per ingredient, giving farmers street cred when it is due. Jesse Griffiths, who began the seasonal, sustainable dinner party Dai Due Supper Club with partner Tamara Mayfield, quietly started living by these ideals long before it was trendy. 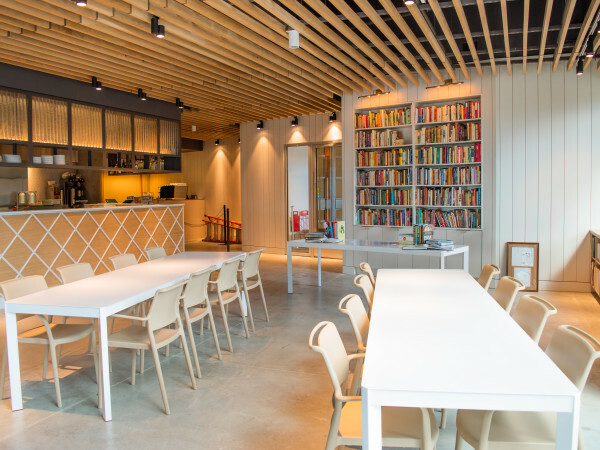 Griffiths first developed the idea of Dai Due six years ago, and with time, it's evolved into an online butcher shop, a farmer’s market stand with a cult-like following, and a school offering classes in hunting and butchery. And just last week, Griffiths published Afield, a guide to hunting and preparing wild game and fish. Griffiths doesn’t just want you to think about where your food comes from — he wants you to go out there and find it. “I would love to see more pro-cooks get out and experience this level of food,” Griffiths says. “It helped me with my cooking, gives you a lot of respect for ingredients. For the home cook, I just wanted to say ‘You can do this.’"
Afield is at once anecdotal and educational in its prose, which juxtaposes Griffiths’ hunting trips across the changing Texas landscape with step-by-step guides to butchering everything from wild boar to squirrel. The 85 accompanying recipes focus on regional comfort food like duck and oyster gumbo, venison barbacoa, squirrel and dumplings, and crab posole. The book is also strikingly poetic in its photography, all done by artist and outdoorsman Jody Horton. Stark photos clearly depict each step of the butchering process, while vivid, rustic shots capture each completed project as the palatable dish they are. Adding a layer of context throughout, ambient images show dreamy moments from their three-year adventure: two women pluck feathers from doves while savoring glasses of white wine in a grassy field; Griffiths hauls a line against the wind into the surf; a man and his canine companion watch ducks in the sky from the bank of a pond. In a country where gun ownership is more associated with NRA zealots than food sourcing, Griffiths wants to open up people’s minds to living off the land once again. 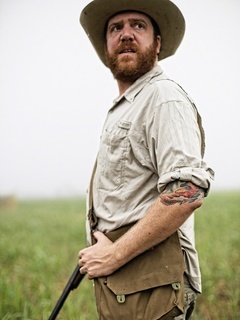 Now that he’s back from the field, Griffiths has a lot on his plate this fall, including a demo and book-signing at the Texas Book Festival on October 27; a free game sausage-making class at Callahan’s in November; Dai Due hunting school and a wild game and fish supper club; a demo and book-singing at the Sustainable Food Center Farmers' Market Downtown on November 3; a cooking class at Central Market on November 18; and a book-signing and party at BookPeople on December 14. 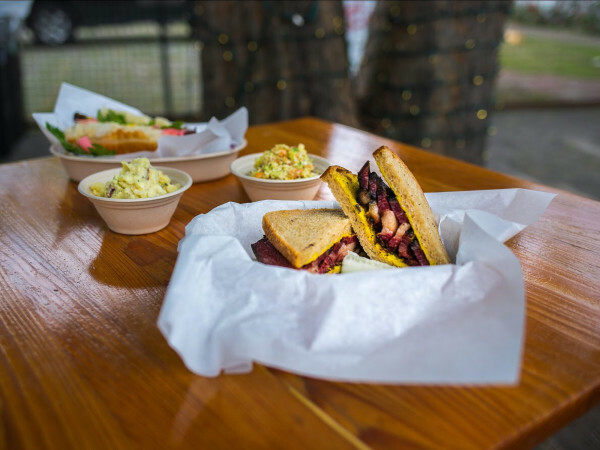 If you simply can’t wait for any of his cooking classes, Texas Parks and Wildlife just put out a series of YouTube videos starring Griffiths, where you can learn to prepare feral hog tacos, wild duck yakitori, grilled venison, and redfish fried three ways. Adding in ground bacon and egg yolk keeps these burgers moist and adds lots of richness and flavor. Condiments for burgers are very rel¬ative to who’s eating them, but a good, earthy cheese and mustard are prime additions for venison. Here, we recommend Emmentaler and coarse-ground mustard, along with some spicy arugula for texture. 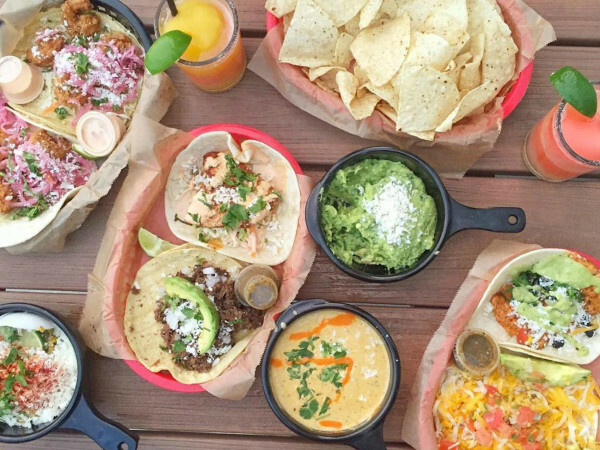 More bacon on top is not a bad idea. 1. Build a really hot fire in a grill or preheat a large cast-iron pan over high heat. 2. In a bowl, combine the venison, bacon, salt, pepper, egg yolks, and Worcestershire sauce, mixing well. Divide the meat into 4 balls and form 4 large, 1. ½ inch-thick patties. 3. Brush the grill or pan with a little oil and grill or sear the patties until very well browned on one side, about 5 minutes. Flip the burgers and add the cheese to the top. Cook about 3 minutes more for medium rare to medium. 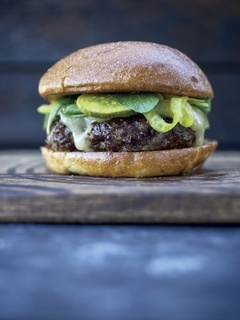 Serve on buns with mustard, mayonnaise, pickles, and arugula. For upcoming Afield event details, go to welcomebooks.com/afield. For upcoming Dai Due event details, go to daidueaustin.net.